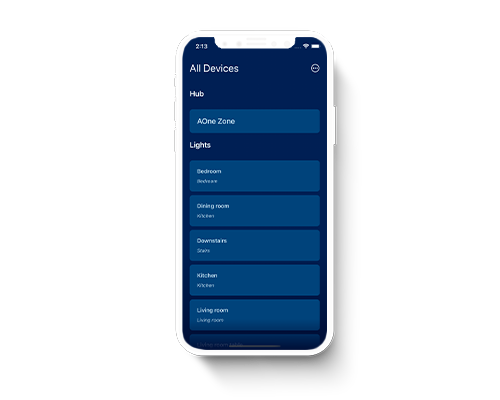 Aurora’s AOne™ smart lighting solution offers the largest product range to accommodate your personal lighting preferences, enabling control of your lighting from anywhere in the world. When choosing to go smart, it can often be confusing. With the AOne range, it couldn't be simpler. You don't even need to change your lights! Whatever your preference for any room, we have the answer. The AOne™ App enables you to easily control and automate your home at the touch of a button. 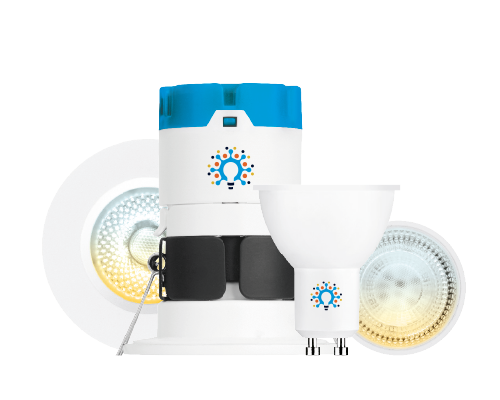 Group your lights to control them all together or individually, the choice is yours! Wireless switches, sockets and sensors offer further control. And not just with your lighting, but also small household appliances. 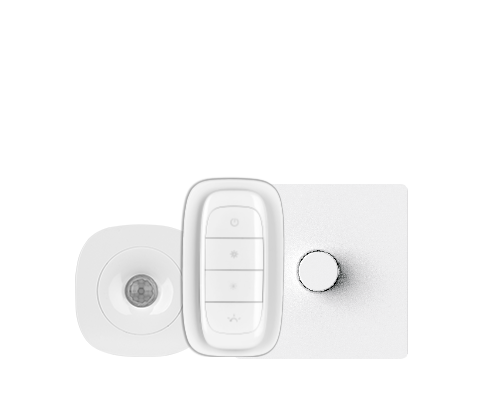 You can control your lighting via the internet and your phone or simply with the AOne remote. Want to make your rooms cosy? Or bright in the morning and intimate in the evening? Colour tuneable settings allow you to select cool white light to wake you up and warm white light to wind down. Add ambience to your home with millions of colours using our RGB products. Create scenes to suit your preference and mood. Create and schedule scenes for different times of the day. In the morning wake up with a neutral white setting whilst you prepare for the day ahead. For the evenings, set your schedule to create a cosy ambience to welcome you home. Benefit from peace of mind when you are away by continuing your lighting schedules that create the perception of being at home when you’re not. This will help deter any unwanted attention by maintaining your routine. For every home, we have the perfect wirelessly controlled solution. We invite you to meet our AOne family. 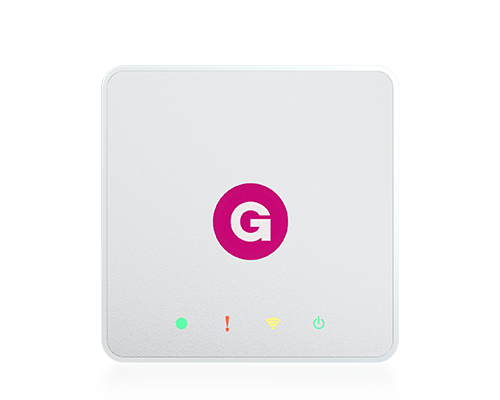 The gateway between your smart devices and your home. Create groups, schedules and scenes - the ultimate in flexible lighting. The ultimate smart fire rated downlight, allowing colour temperature control between warm to cool white. The simple way to upgrade and smarten your GU10 lighting. Control your lighting colour temperature between warm to cool white. The simple way to upgrade and smarten your GU10 lighting. Create millions of colours to suit your mood with RGB technology. Gain control of your floor lamps and pendants, tune the colour temperature between warm and cool white. Gain control of your table lamps, chandeliers and wall lights, tune the colour temperature from warm to cool white. Gain control of your floor lamps and pendants. Select from a million colours and create a scene to set your mood. The simple way to upgrade and smarten your lighting with dimming capability. Replace your standard dimmer for instant smart control of an existing dimmable circuit, retaining your current faceplate look and feel. Replace your standard dimmer for instant smart control of an existing dimmable circuit. Replace existing light switch with this battery free wall controller. A battery free remote switch you can carry around with you, or place in any room. 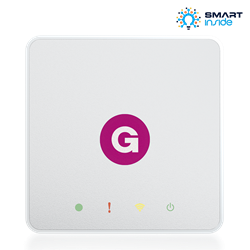 Enables wireless, local room control without needing to have internet access. Smarten your existing dimmable lighting circuit. Contact your approved installer for more information. On /Off and dimming control for your dimmable LED strip. Contact your approved installer for more information. On /Off, dimming and tunable white control for your dimmable LED strip. Contact your approved installer for more information. On /Off, dimming and colour control for your dimmable LED strip. Contact your approved installer for more information. Gain control of any device up to 16A; for example ceiling fans or electric heaters. Contact your approved installer for more information. Replace your standard double wall socket for smart control. Turn sockets on and off via AOne App. Replace traditional timers with the smart adaptor and enjoy instant control. Automate your lighting based on movement detection and light levels. Trigger your lights to come on when you open a door or window. Automate your lighting based on movement detection and light levels. Or trigger your lights to come on when you open a door or window. Gain control of your floor lamps and pendants, tune the colour temperature between warm and cool white. Or select from a million colours and create a scene to set your mood. The simple way to upgrade and smarten your GU10 lighting. Control your lighting colour temperature between warm to cool white. Or create millions of colours to suit your mood with RGB technology. Smarten your existing dimmable lighting circuit or take control of your LED Strip. Contact your approved installer for more information. Replace your standard double wall socket for smart control. Turn sockets on and off via AOne App. Or replace traditional timers with the smart adaptor and enjoy instant control.